When Is a Tonsillectomy Necessary? Tonsils are lymph glands in the mouth that help to fight infection. Unfortunately, these infection-fighting glands are not immune to becoming infected themselves. For this example, we will use a child with strep throat. The tonsils do their part to help remove the infection and may become enlarged as they do this work. They can also become infected with strep, too. While this infection of the tonsils is far more common in children, it can become a problem for any age group. In adults, tonsils are much less likely to be infected. As we grow, throat infections, in general, are less common. For some, this is true because they have had their tonsils removed, but it is also normal to grow out of these issues with age. For adults, it is far more likely that tonsils can become a problem when they are large enough that they partially occlude the airway or throat, causing sleep apnea. 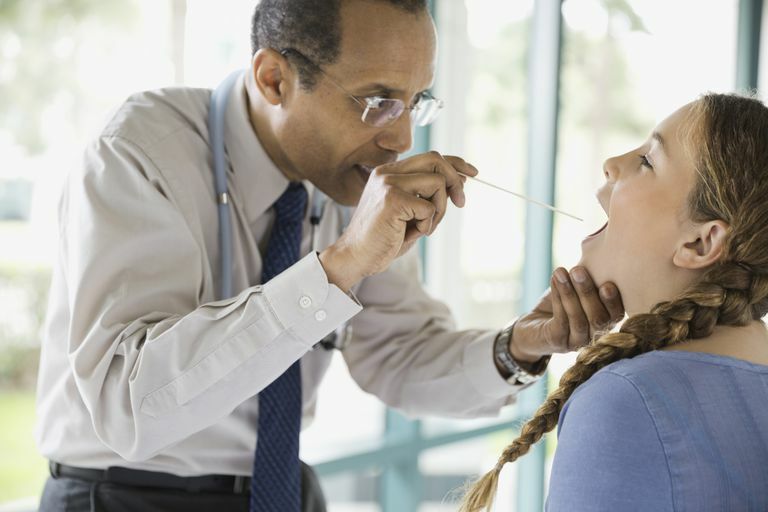 Rarely do adults need a tonsillectomy due to tonsillitis, a breathing problem is much more likely to be the diagnosis that leads to surgery. Problems with the tonsils often include problems with the adenoids. The adenoids can be removed at the same time as the other tonsils, in a procedure called an adenoidectomy. There is a difference between tonsillitis and a sore throat. While tonsillitis does cause a sore throat, a sore throat may not be caused by tonsillitis. If the tonsils are not enlarged or angry, the sore throat is not tonsillitis and is caused by a different problem. What Is a Tonsillectomy or Adenoidectomy? A tonsillectomy may be performed independently or performed along with an adenoidectomy. An adenoidectomy is a procedure to remove tissue that rests at the side of the throat. The adenoids are often enlarged and inflamed when the tonsils are oversized and angry, and for that reason, they are typically removed together. For adults having the procedure due to sleep apnea, the adenoids may be removed if they are believed to be contributing to the issue. Recovering from a tonsillectomy or adenoidectomy is different than you might think. Despite what we see on TV, there is no ice cream for the first 24 to 48 hours after surgery. This is only the beginning of what you need to know about recovering from a tonsillectomy or adenoidectomy. Adults typically have a more difficult recovery than children and find the recovery from this surgery to be rather painful. The average adult will require pain medication during the recovery to help treat the pain. Cold fluids can also help decrease the pain in the area, but the adult patient should be aware that the surgery is typically much more challenging for adults than children. Fact Sheet: Tonsillectomy. American Academy of Otolaryngology.